I know you’ve seen it. You hit the frozen foods section at the grocery store, and you pass the waffles. You’re thinking “Man, I could eat these for a quick breakfast in the morning.” You skim the freezer, and it catches your eye. Interesting – and yet, confusing – issue. Frozen waffles are fairly non-nutritious. Indeed, the only real way to get any sort of vitamins in your waffles each morning is to buy blueberry waffles that contain…. But, hang on! It turns out those aren’t blueberries at all! They’re more like…well, just what are they? An apt description would be “purple globs of sugary goo,” but they’re actually called “artificially flavored blueberry bits.” Their ingredients include sugar, dextrose, soybean oil, soy protein, salt, citric acid, cellulose gum, artificial flavor, malic acid, Red 40 Lake, Blue 2 Lake and…that’s it. Notice anything missing? Oh yeah: blueberries! 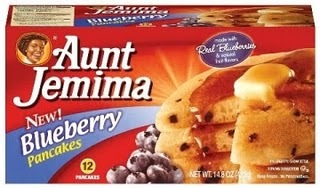 For a long time, companies such as Aunt Jemima parent Pinnacle Foods were able to get away with implying that these little unfruity lumps were actual blueberries, as the box for Aunt Jemima’s blueberry waffles had pictures of actual blueberries strewn across it. But the threat of a lawsuit from Center for Science in the Public Interest made Pinnacle decide to tell people that their waffles didn’t contain any actual blueberries. What makes the development of fake blueberries so exciting is the number of possibilities it opens up for other fake fruits. Picture artificial strawberry strips, made mostly of bacon and high-fructose corn syrup. Or perhaps artificial melon mounds made of solidified vegetable oil and dextrose monohydrate. 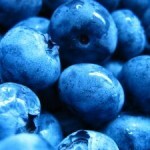 Or the coup de grace, artificial artificial blueberry bits, made with NutraSweet and artificial soy protein. Not one natural ingredient, baby! The interesting thing about this is that I was asking myself, “What kind of state is food in if you have to claim your food is made with real food to sell it?” as if to question why the only claim a food would have to make is that it contains real food. Alas, that is the issue. When we talk about the food industry, we talk about an industry that got the green light to “create” food instead of “cook” food back in 1973. What happened? The 1938 Food, Drug and Cosmetic Act imposed strict rules requiring that the word “imitation” appear on any food product that was, well, an imitation … [And] the food industry [argued over the word], strenuously for decades, and in 1973 it finally succeeded in getting the imitation rule tossed out, a little-notice but momentous step that helped speed America down the path of nutritionism. And so they were when, in 1973, the FDA (not, note, the Congress that wrote the law) simply repealed the 1938 rule concerning imitation foods. It buried the change in a set of new, seemingly consumer-friendly rules about nutrient labeling so that news of the imitation rule’s appeal did not appear until the twenty-seventh paragraph of The New York Times’ account, published under the headline F.D.A. PROPOSES SWEEPING CHANGE IN FOOD LABELING: NEW RULES DESIGNED TO GIVE CONSUMERS A BETTER IDEA OF NUTRITIONAL VALUE. … The revised imitation rule held that as long as an imitation product was not “nutritionally inferior” to the natural food it sought to impersonate—as long as it had the same quantities of recongized nutrients—the imitation could be marketed without using the dreaded “i” word. For those who skipped over that, here’s the brief understanding. Once upon a time, the food industry was forced to label any foods that weren’t foods as we know them as “imitation.” The food industry knew that labeling a food as “imitation” was pretty much a kiss of death on the shelves, when it had to sit next to some proud, prim, and proper food with real, home grown foods. So… they fought tooth-and-nail to change this policy. Once this law was repealed, this gave the food industry the green light to put whatever it wanted in food as long as it had the same amounts of identifiable nutrients as the food it was imitating. So what happens as a result of this change in law? We get fake blueberries in waffles with boxes of real blueberries on the front, and words like “imitation blueberries” or “naturally flavored” in tiny print on the front of the box. Not real blueberries, not the nutritional value of the blueberries. Just, as Alternet put it, “purple globs of sugary goo.” Putting it mildly, a grocery store item that makes the claim of being made with “real food” does so because, looking at the other items on the shelf, the rest simply do not. Just… y’know.. for different reasons. Where have you seen that “it-should-be-obvious” kind of claim made on a box? I swear I saw a wrapper for cheese that said “Made with real cheese” on it… if you can top that, I wanna hear it! Another “I’d Rather Go Naked Than Wear Fur” Campaign Rolls Out! This Time, It’s…. The consumer is nothing but a lab rat man. I’m laughing avec this post because of an incident that happened at the job recently. For some reason the people there compare their eating habits to my own. Why? I have no idea. Well someone bought a trough of blueberry bagels from Panera Bread. In the mornings I either eat oatmeal or a whole grain bagel. As I was warming my bagel a coworker walked up to me and said “My bagel tastes better and is better for you because it gives you antioxidants (she pronounced it wrong but I corrected her). I set her straight by explaining how I could get that from the grapes I planned to eat. She scoffed at me of course and walked away like a scolded dog. I did go back to stare at one of the blueberry bagels and got sick to my stomach. It looked like a bagel with scabs on it. I couldn’t believe the blueberries were real. I’m going to print this out and sit it on her desk. Bwahaha!! The bagel made with imitation blueberry bits has lovely patches of moist dark blue all over it, but sadly the bagel covered with brownish “scabby” looking spots is actually made with real Blueberries. The real blueberries brown when directly exposed to the oven’s heat. The Fake blueberries, or blueberry bits DON’T do this. The fake blueberries remain hard at room temperature but soften and melt smoothly into the surrounding product and don’t discolor when exposed to the moderate heat of baking. 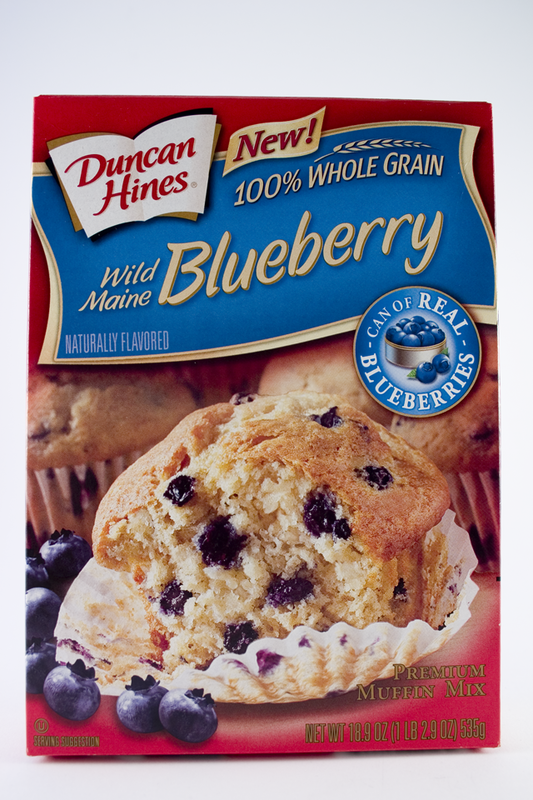 Real blueberries in baked goods can also darken the surrounding batter, cake or bread significantly. 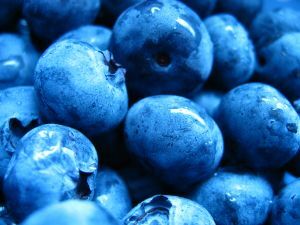 If your looking for real blueberries in baked goods on the shelf, rejoice at those brown scabby looking spots, and the darker surrounding bread or cake, they’re your clearest visual clue that the blueberries it contains really are the real thing. Great post! Yes, indeed, what has it come to when we label something as “real blueberry”? My shift from packaged & processed foods has been difficult – especially since I didn’t cook LOL. I still don’t really cook – rather assemble ingredients that I like. And I’ve learned that I like a lot of healthy things! Thanks to my friend Michele who says, “Go to farmer’s market, tell me what you bought, and I’ll coach you on how to prepare it.” How’s that for a method? No recipe? No planning? Preparing food based on available, whole ingredients? It’s been a real eye-opener, for sure. Roasting squash, cooking quinoa, sauteing apples & walnuts – who would have thought? I love this article! Thank you for increasing awareness. In turn, I shared it with a few of my fellow nursing students. didn’t Mc Donalds started saying that they are using real chicken breast in their chicken nuggets several years back. I remember all us moms saying ” wait if it wasn’t real chicken what was it?!? !and I am feeding that to my kids thinking that it was real chicken!! !” I don’t know about everyone else but since the start of this year when i stopped buying processed foods it seems all food is fake except for the stuff you buy for the produce isle and butcher. But Wait, Erika, have you talked about how our ground beef is not from local farms and that our meet is mixed with meat from all over the world? Also some places recycle ground beef? Recycle I mean they take the ground beef that is about to expire and mix it with fresh ground beef. Granted what I am saying is hearsay since I do not remember the article I read or news report I saw this information in. But the memory of why I try to stay away from ground beef is fresh. My home turned into a chicken and whole cuts of beef home. Eventually we limited our beef intake to about 3 or 4 times a month. I thought that I was the only one who was like “um… what?” when commercials and labels started boasting about things being made of “real fruit” and “100% chicken” like it was something to be proud of: something exceptional. Well dang, if it says “FRUIT” or “CHICKEN” or whatever else, we SHOULD be able to presume that its “real”. That should be the default. Lol @Nicole, you’re right. No justification needed if food is made with “real food”…. 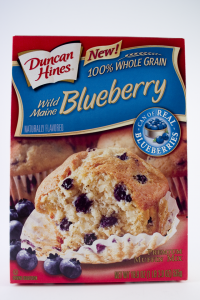 Funny, just this morning I got ready to fix myself some blueberry muffins using a packaged mix. Right on the front in small letters read “imitation blueberries”. I decided against making them and scolded myself for even buying it. I know, I should have known better. This is a great article. I too will share it with my friends. It is so important to understand what it is we are ingesting and feeding to the next generation. Everyone has to start reading labels, and making their choices known by not purchasing imitation crap. Speaking of which, I just switched to an all natrual peanut butter that is 85% less calories and fat than normal. (PB2) The only ingredients are: roasted peanuts, sugar, salt (and the water I add to the powder to make the peanut butter).